LOVE this quote that my dear friend Carol shared with me the other day. Such a true statement! 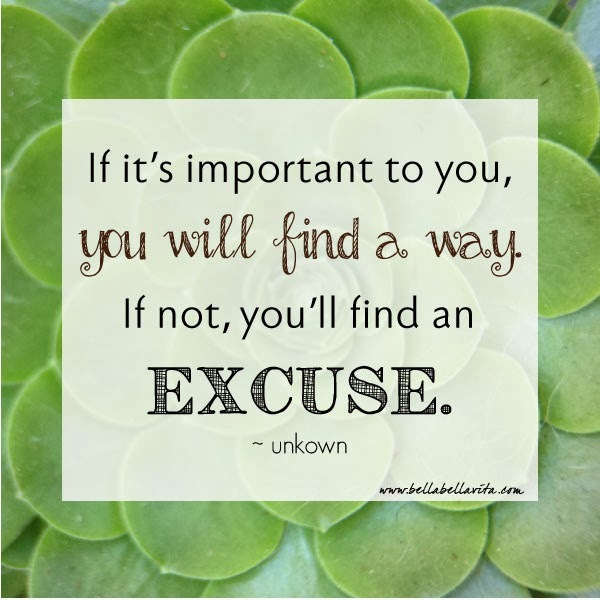 What's important to you that you are making an excuse for not doing? I'm sharing this quote on a photo of one of my giant succulents in my back yard ... sending a little Los Angeles green to my dearies in the Midwest and on the East Coast to brighten their cold day!